J. Sampson; Christie's, London, 26 February 1932, lot 86 (unsold). 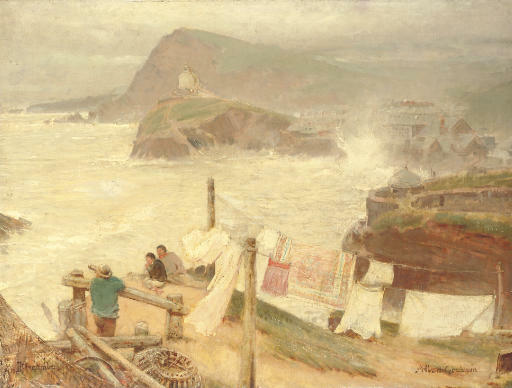 Albert Goodwin was a student of Arthur Hughes and Ford Madox Brown, who predicted that his pupil would become 'one of the greatest landscape painters of the age'. In 1871 he travelled to Italy with John Ruskin, who he credited with instilling in him a love of form and an appreciation of the importance of drawing. The precise, Pre-Raphaelite, naturalism which characterised his earlier work had, by the 1880s, been replaced by consciously poetic and resolute ethereal effects.